Now that various politicians of every stripe seem to have weighed in on UBB, and the announcement that it will be overturned has been made, the UBB front is quieting. There has been shock and surprise that Bell requested a delay in UBB implementation. Of course it makes perfect sense… it will have died down in a couple of months. Will the same level of consumer outrage be there? We’ll have to see. Bell has been playing politics in Canada since it was formed by an Act of Parliament. The lack of care for consumers as a crucial Internet stakeholder was apparent in that the CRTC allows the regulated Industry a three month appeal process, yet Implementation of UBB (including notification) to consumers was a single month. In von Finckenstein’s effort to defend UBB, he failed to recognize that there is a world of difference between supporting the choice of an ISP to implement UBB and a regulatory model that leaves an ISP with no other alternative. The CRTC’s UBB decisions are wrong not because UBB is wrong, but because they undermine the potential for competitors to make alternative choices. The biggest tragedy is that Consumers are deprived of choice. It doesn’t matter that Industry has choice if consumers have none. The biggest failing of the CRTC is that the ONLY thing they take into account is the needs of the industry. Throughout the whole UBB issue, they have totally and utterly ignored the public. I first heard about UBB when the CRTC had closed the comments after the first proposal by Bell. At that time 4,000 consumers had filed complaints about UBB using the proper CRTC process. Yet when the CRTC approved UBB, it dismissed this incredible level of citizen input with a single line that consumers had commented. That’s THOUSANDS of responses made about something that had NO press coverage. Throughout the entire UBB process, the CRTC has completely ignored citizen needs and issues. Incredible since their mandate is to look out for consumers. The CRTC has consistently ignored consumers, while ruling in the Interests of the large telcos. What UBB seeks to do to Independent ISPs is terrible. But I believe it is most terrible because of what it will do to consumers. many Canadians only Internet option is dial-up. many Canadians have but ONE Internet ISP “choice”. some Canadians have the choice between the legacy telcos (aka the carrier-ISPs) and Independent ISPs. The only “choice” many Canadians have, the only way to choose a different ISP, is to move to a different geographic location. You know, sell your house, get a new job. etc. Which is no choice at all. The past two years has consisted of a great deal of time and money spent by all the ISPs. Lawyers fees alone would have been staggering. If all of that money had been spent on expanding service areas, think of where Canada would be now. 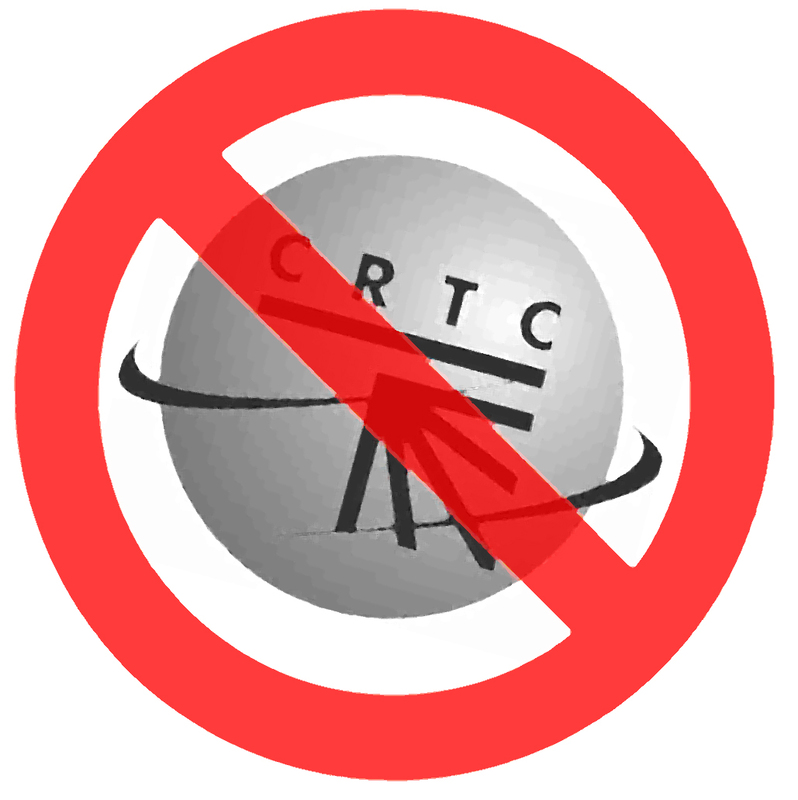 No matter what happens, this has been an incredible #FAIL on the part of the CRTC. In SPITE of the CRTC, there actually are a few UBB free choices, regardless. According to Reddit: UBB-Free ISPs yak.ca and eyesurf.net don’t get their Gateway Access through Bell. There probably are more like them scattered across the country. If you haven’t already, sign the petition. There are only 14099 signatures. When the Internet was first opened up to consumers, Canadians we had to pay Internet Service Providers (ISP’s) usage fees in order to connect. We paid by the minute. Using the internet could be quite expensive that way. So many Canadians did not. When Bell and Rogers entered the ISP market, they offered Unlimited packages for a flat rate. This was much much more economical for consumers. This is one very important reason why such a high proportion of Canadians went online. Which has unquestionably been very good for Canada’s digital economy. This caused two huge changes. All the Independent ISPs went out of business (or switched to doing something else). Canadians logged on. Knowing what the Internet would cost per month made it more accessible. Once all meaningful competition was gone, even the Canadian Government was able to see that no meaningful competition was a bad deal for consumers. Now that they shared the market, the phone and cable ISPs rejigged their services, and stopped offering “unlimited” packages. And they introduced “caps.” Prices went from being some of the lowest in the word to being some of the highest. In the few major markets where consumers had the option of choosing between Phone based Internet or Cable based Internet, it seems after a while that the two took turns being the higher priced. Adding insult to injury if you decide to cancel your service you get kit with cancellation fees. My guess is that it averages out over the year. I don’t know if Bell suspends service when their customers hit their “cap” but I have been told that Rogers does this. By university students. Being overcharged is bad, but being cut off is unacceptable. Because the Internet is a necessity of life. And I would think that is more true for a University student than anyone else. So the Canadian Government mandated competition. The new Independent ISPs offered unlimited packages. When I switched to TekSavvy I opted to pay a little less for a capped amount of 200GB per month. But my Indie ISP doesn’t cut me off even if I go over a little. They average it over two months, so the next month is likely to be under. I have yet to be hit with an overage charge. So 200GB seems to be a reasonable monthly bandwidth allowance. But that is much higher than the caps Bell is imposing. One of the biggest problems with the introduction of this type of Usage Based Billing is that consumers can’t see it or measure it ourselves. We don’t understand it. Back when Canadians rejected Minute based UBB at least we understood how much a minute was, so we could understand how much we were being charged. This is why the knee jerk response– particularly after getting clobbered by an overage bill or two– will be for Canadians to severely curtail our online activity. Comment on: Why Do Bell and Rogers Have Customers? If you haven’t already, sign the petition. There are only 11320 signatures. In August of last year research for my personal blog in the wind first brought Usage Based Billing to my attention. UBB is a technical issue filled with jargon so new much of it isn’t even in wikipedia, making it hard for ordinary people like me to understand. I’m not a programmer, I’m a mom, an artist and a writer, but I thought it important enough to create this public service blog to share the things I’ve learned to try to help other Canadians understand Usage Based Billing. The left side bar lists of all the blog posts as an index to allow this blog to serve as a reference. I’ve tried to cover issues and technologies in as much depth as I can handle. (The glossary is probably the best place to start.) There is also a listing of websites and blogs there. The right side bar is loaded with links to specific articles which may also help understand the issue. Fifteen years ago Canada was an internet technology leader and Canadians could connect to the internet at reasonable rates. Today we pay some of the most expensive rates in the world for mediocre service. The reason is simple; the internet carriers (Bell/Rogers) chose to make only minimal infrastructure re-investment. Families upgrade when they can. As a mom I know that computer systems are obsolete after about six months. As a mom I know it is important to buy the best system I can afford so that it will last the longest. I need the best value for the family. Moms have to keep computer systems running far longer than programmers or corporations because families can’t afford otherwise. Even so, there is not a single component on my desktop that I had 15 years ago. My system has changed many times over in the last 15 years. Because I have re-invested in my infrastructure. Bell Canada has told the CRTC that Usage Based Billing is necessary. They say they need more income or they can’t improve their infrastructure. But what they did NOT tell the CRTC is that any infrastructure problems Bell Canada may be experiencing is because Bell Canada chose not to reinvest in infrastructure improvements for the past fifteen years. Canadian customers have been paying premium prices for a steadily declining service. In order to encourage ISP competition the Canadian government mandated Bell Canada to make wholesale bandwidth available to Independent ISPs. The Canadian government encouraged these Independent businesses to set up shop so Canadian consumers could have Internet competition. Bell Canada was allowed to set the rates charged (astronomical) but in spite of that, the Independent ISPs have not only survived, they are now at the point of offering meaningful competition. They have a loyal customer base. But Bell Canada does not want to have to compete. MTS Allstream, Primus, Yak, SureNet, Electronicbox, Skywaywest, MNSi, apexia, START Communications, Accelerated Connections, Egate, AEBC, Wightman, Caneris, Acanac, Vianet, Interlink, Lightspeed, Execulink, Telnet, Auracom, The Internet Centre, goZOOM, Diallog, KOS, Telinet, Compu-SOLVE, Merge Internet, NINA-IT, Broadline Networks, ISP.ca, Odynet, Airnet and of course the Independent ISP I am happy to use, TekSavvy. Bell Canada was caught “throttling” the internet service of the customers of the Independent Service Providers. Over strenuous protests from both customers and Independent ISPs, the CRTC actually gave Bell Canada permission to continue to interfere with internet service of their competitors customers. This is a business practice unprecedented in any nation aspiring to free markets and democracy. That wasn’t enough for Bell Canada. Now they want to additional levels of billing, again, not just for their own customers, but for the customers of the Independent ISPs. In addition to the near highest internet rates in the world Canadians are already paying, Bell wants us to pay them Usage Based Billing and apply usage caps which will double the rates of moderate internet users and exponentially increase the rates paid by heavy users. This will certainly harm Canadian internet customers. Implementation of Usage Based Billing will most likely put the Independent ISPs out of business because these CRTC rulings will have removed their ability to compete. Since the Independent ISPs will merely be able to offer inferior rate packages as dictated by Bell Canada, they certainly won’t thrive. Although I’ve used computers since the 1980’s, I am a user, not a technical person. We users do not understand things like bandwidth (particularly since it means different things… see glossary again). A long time ago there were bits and bytes. Kilobytes. Megabytes. Now there are are Gigabytes and Terabytes. These words sometimes mean big and then all of a sudden they don’t. I remember when my sister had a computer with an incredibly big hard drive… two whole gigabytes. Today my digital camera has an 8 gigabyte memory card. My essential point is that since most Canadians do not understand how much bandwidth is required for the the things we do online, we won’t know what we will need to do to cut back our internet use so that we can continue to afford it. This means that the biggest worst effect of Usage Based Billing will certainly be that after paying the first huge internet bill, Canadians are going to use the internet as little as possible. Anyone who doesn’t think that this will do serious damage to the Canadian economy is in denial. The internet stopped being a luxury some time ago. It has become a key economic tool. RobertX asked what my predictions for UBB in the New Year would be. I’m no Cassandra (which is just as well, actually) so I can’t predict what will happen to Usage Based Billing in 2010. What I can do is speculate. What might happen if they implement Usage Based Billing? Since the CRTC has provisionally approved Usage Based Billing– on the basis of Bell Canada presentations unsubstantiated by evidence– Usage Based Billing could very well be implemented. Although the CRTC chose to ignore all of the dissenting voices, the CRTC did ask Bell Canada for some clarification, as well as the legal challenges the Independent ISPs have offered, so Usage Based Billing is still not a foregone conclusion. Implementing UBB on the Quiet? Because the bulk of the mainstream media “news” outlets haven’t actually informed Canadians that UBB is an issue– let alone one that they need to be concerned about– most Canadians still don’t know anything about Usage Based Billing or what it will mean to them. It would be very possible, ridiculously easy even, to implement Usage Based Billing quietly. Even if the Independent ISPs forward a warning to customers, most people don’t read all the junk mail routinely include with our invoices. So implementation might well be slipped into effect without warning. Since there isn’t likely to be a big outcry before UBB implementation, the CRTC might allow implementation of UBB thinking it won’t cause much of a fuss. After all, Bell Canada says its necessary. Bell Canada has many investors. Bell Canada has many employees. Which is why Bell Canada is so powerful. Rich. Canadian consumers aren’t. There will be a fuss. But it will come AFTER UBB implementation. When most Canadians get the unhappy surprise that their internet bills have gone through the roof– for no reason other to enrich Bell Canada— there will most certainly be a fuss. Usage Based Billing will cause untold damage to Canadians and the Canadian economy. Usage Based Billing may in fact be the tipping point for Canadian consumers. Once implemented Usage Based Billing won’t be in the dark any more, and although slow to anger, Canadians will be angry. Very Angry. It would only be reasonable for the Independent ISPs to defer any CRTC orders allowing implemementation of Usage Based Billing in the absence of a sitting government. Certainly it is reasonable that a Minister of Industry might over-rule bad decisions made by the CRTC. After all, it happened for Wind Mobile. Particularly since implementation of Usage Based Billing will require mammoth outlays of investment for usage monitoring equipment. If I ran an Independent ISP, I would not be willing to lay out funds before exhausting every possible avenue. Implementation of Usage Based Billing cannot possibly be undertaken until the Measurement Canada holds a consultation with stakeholders. It would be incumbent on Measurement Canada to establish approved Marketplace Monitoring, Standards Calibration, Traceability, Delegation of Authorities, Complaint Investigation, Accreditation and Auditing standards just as they do for the natural gas industry. Implementation of Usage Based Billing should not be undertaken without a framework of rules, as well as enforcement and auditing by the Privacy Commissioner. What might happen if the CRTC reverses the decision and rules against Usage Based Billing? I would happily wind down this blog. The Independent ISPs would be able to get back to the business of providing excellent internet service to Canadians. Now freed from frittering away their profits in court, they would be able to continue to expand and grow. Those of us customers who have been aware of the Usage Based Billing threat would be happy, even though we are paying some of the highest internet rates in the world for mediocre service. Pretty much everyone would be happy. Everyone except Bell Canada. The Bell Canada dream of eliminating the competition would have failed, so Bell Canada would not be happy. Perhaps Bell Canada would start acting like a real company. They would need to lower the dividend payments they make to their investors and instead reinvest in infrastructure. Instead of using their “loyalty department” to offer quarterly bribes, maybe Bell Canada would treat their customers better overall in an effort to keep them, by offering good service for fair value. Since Prime Minister Harper has chosen to prorogue government, things are different now. It is unlikely that the petition to Dissolve the CRTC will be presented to Parliament before an election is called. This makes it all the more important for Canadians to sign the petition. If you haven’t yet, sign the petition, and encourage everyone you know who uses the internet to sign the petition at http://dissolvethecrtc.ca/. Lets keep the heat on. Spread the Word.